Zerodha Pi is a desktop based trading platform and was launched in 2015. This platform was built by Zerodha in partnership with Tradelab. 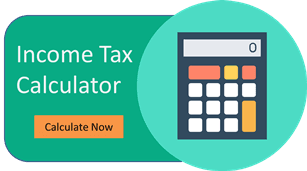 Zerodha has also released an update in 2016 on the versions of this platform. Let us check Zerodha Pi Review in detail. This platform provides a stock watchlist which follows all the instruments i.e. multi assets for all the markets across. This platform also allows a user to create a watchlist of its own with 50 scrips each. It allows creation of 5 such watchlists. 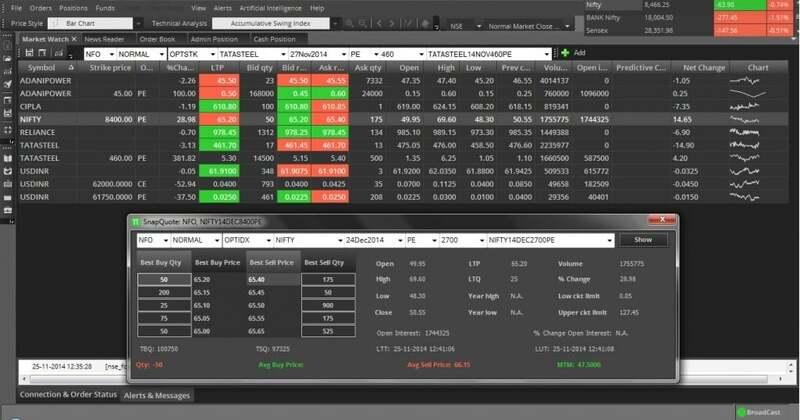 This platform also allows migrating and linking of the watchlist to excel. 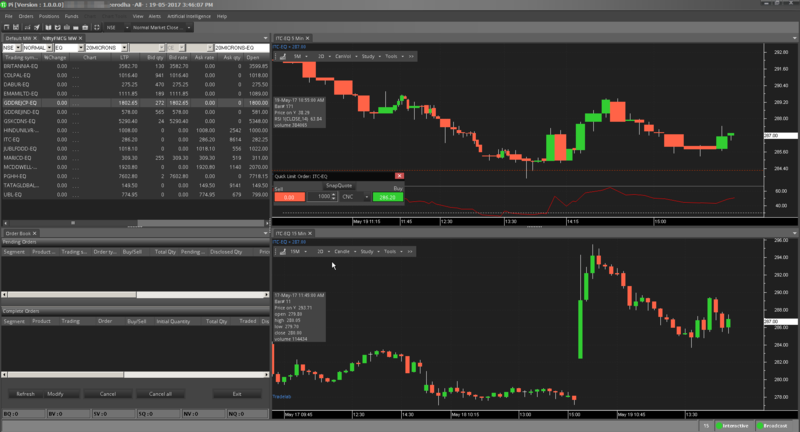 It also has a wide variety of charts, provides multiple options for selecting the indicator. The users get an option calculator to analyse the probable and/or the deserved price of the option. With the regular updates, it keeps on adding the new indices as well for the chart preparations. Needless to say, the trading platform allows placing market orders. The customers can also check their order book, the daily reports, periodic profit and loss statement etc. It facilitates cover order with a limit entry option. Zerodha Pi also allows customization so that the customers can create their own shortcut keys for varied commands. 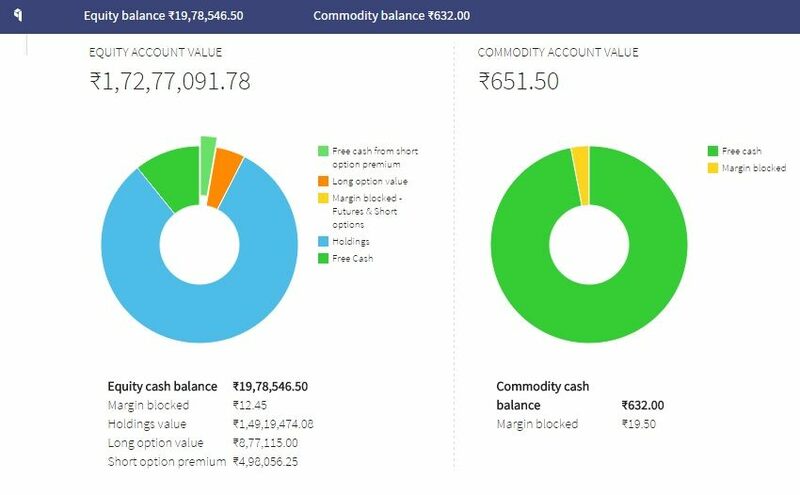 Having discussed the trading terminal, now the turn is to learn in brief about Zerodha’s reporting tool – Q. This tool reflects the entire trading history of the trader, it runs and generates the tax reports based on the profit and loss recorded over the period, the details of when what order was undertake, the portfolio maintained over a period of time and many other relevant details. Zerodha Pi is currently a very successful trading terminal used for massive volume of transactions everyday. The terminal is user friendly & also provides all sorts of advanced trading charts & analytical tools to its users. This trading platform is definitely one of most used & high performance platform in the sector.